So you filed for custody in Guilford County. What are going to be the steps to the trial? Step One: You file a Motion or Claim for Custody if there isn’t a Custody Order already. If there is a custody order, then you filed a Motion alleging a “substantial change of circumstances” concerning the welfare of the child or children. This “substantial change” can be something harmful going on regarding the children or something that would be beneficial to the children if a change is made. State your reasons for wanting custody or a change in custody carefully. Step Two: You will have to go to a custody mediation orientation in Greensboro and then attend mediation with the other parent with a court mediator. You will not be permitted to take your lawyer with you. Two results will occur: (1) you and the other parent agree. If there is agreement, the mediator writes the agreement and sends to you and your attorney. Your attorney will review the agreement with you to make sure you understand and to make sure the agreement is appropriate for you and your children. (2) There is no agreement. If there is no agreement, the custody mediator will call and “impasse”, and you can proceed to try your case. Domestic Violence: Domestic Violence is a reason for an exception to attending mediation. Out of State Parent: Sometimes in Greensboro, mediations with an out of state parent are held over the telephone for convenience. Step Three: You will attend the court ordered “Parenting Under Two Roofs” on a date when the other parent is not present. You will receive a certificate of completion. I generally like to have clients “clock-in” the certificate with the court file, so it is readily available for the judge to see. Step Four: If your mediation impasses, you can proceed to the custody trial. In Greensboro, these are heard in Courtrooms 2E and 3A. On occasion, custody trials are also hearing in a hearing room on the third floor. If you have out of county witnesses or experts, you may be entitled to a preemptive setting for your case which sets your case on a particular day. These are tough to get, but can be worth it. 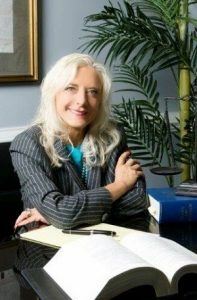 Occasionally, the court orders a custody evaluation for a forensic psychologist before the trial. (I have even seen judges in Greensboro order a custody evaluation after a custody trial has started. The trial itself: Help your attorney line up your witnesses who can be subpoenaed or compelled to testify. You also need to line up your documents and have them ready. Typical documents you will need are family photos, pictures of the child’s room and your home, school report cards, medical records, dental records, your work schedule and the other parent’s work schedule. If Social Services is involved, the worker will need to be subpoenaed to be present and bring the relevant records. Sometimes records of DWI’s or other similar criminal record checks are important. The court can order drug testing in Greensboro on the spot, so keep that in mind.